Grow all of the healthy, wholesome vegetables you need in a single season without the backbreaking hours spent weeding in a traditional row garden. This Lockport square-foot garden features numerous 4x4 boxes. 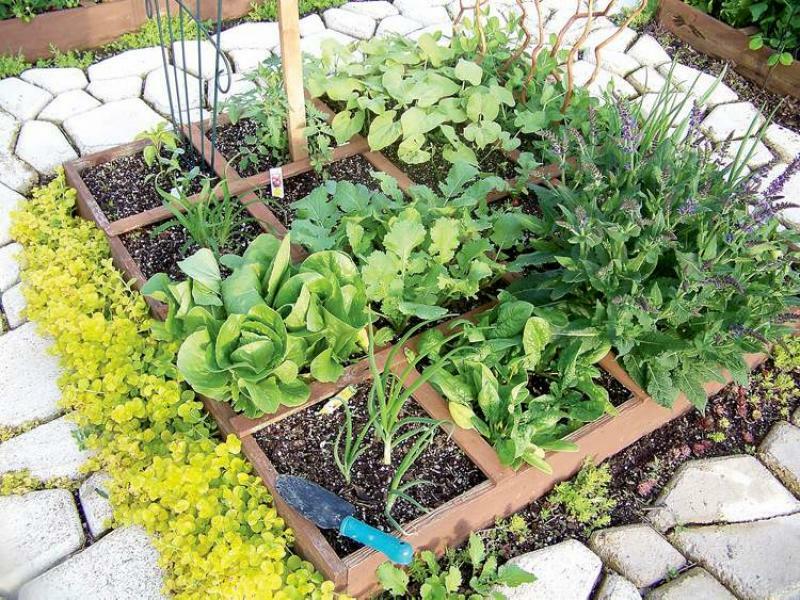 Flowers and vegetables grow in harmony in this 4x4 garden, which takes up very little space. Use an equal amount of vermiculite, peat moss and blended compost. 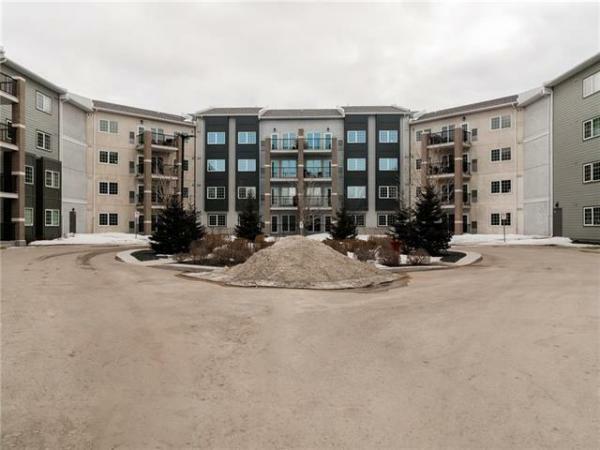 When I moved to Manitoba from the U.K., I was delighted to have a spacious two-acre yard in St. Andrews that could be landscaped and used for growing vegetables. I built raised beds using railway ties and filled them with a mixture of soil and cow manure. These raised beds were filled with every sort of fruit and vegetables but were about 150 feet away from the nearest water supply. After the first year, I was spending more time weeding than planting. As an avid gardener I was looking for a way to increase my enjoyment of vegetable gardening without all of the time-consuming labour. While researching on the Internet, I came across information on square-foot gardening and was hooked by the catchy phrase, "No weeding, no thinning, no digging, no kidding!" This simple, unique and versatile system adapts to all levels of experience, physical ability and geographical location. You can grow all that you want in only 20 per cent of the space that would be used for a normal row garden. -- Layout -- Think in terms of squares rather than rows. Ideally, the garden should be located close to the house and near a water supply. It should also receive a minimum of eight hours of sunlight a day. -- Boxes -- maximum four feet wide. The average human reach is two feet so this size allows you to reach into the centre of the box from all four sides if it is four feet wide. You can make the boxes as long as you like but remember, no wider than four feet. -- Aisles -- three feet minimum. This allows for a wheelbarrow to deposit the soil mix and for two people to pass side by side. The aisles can be mulched or left bare. -- Soil -- It is recommended you mix your own soil as it is crucial you not introduce any weeds. The ideal soil mix is an equal blend of vermiculite, peat moss and blended compost. The mixture is done by volume, not weight. There should be no puddling of water after a heavy rainfall. -- Grids -- Without a grid it won't be a square-foot garden. The grid creates a visual planting map and allows you to plant the seeds or plants in the exact spot. I prefer cedar. -- Care -- Only tend the garden from the aisles. Because you are not walking on the soil it does not get compacted so it does not need to be tilled. There is minimal weeding and any weeds that do appear are easily removed from the soil mix. -- Select -- Select one, four, nine or 16 plants per square foot. Only plant what you like to eat, can or freeze. -- Plant -- Only use a few seeds so you do not have to thin out. Succession planting is recommended so you can harvest the crop throughout the season rather than all at once. Extend the season by planting early and covering plants if there is a frost warning. Read the information on the seed packet to determine plant spacing. -- Water -- Minimal watering is required. Overwatering is unlikely since the soil mix will only retain what the vermiculite can absorb, the rest will drain away. Using water from a rain barrel is the most environmentally friendly method of irrigation. 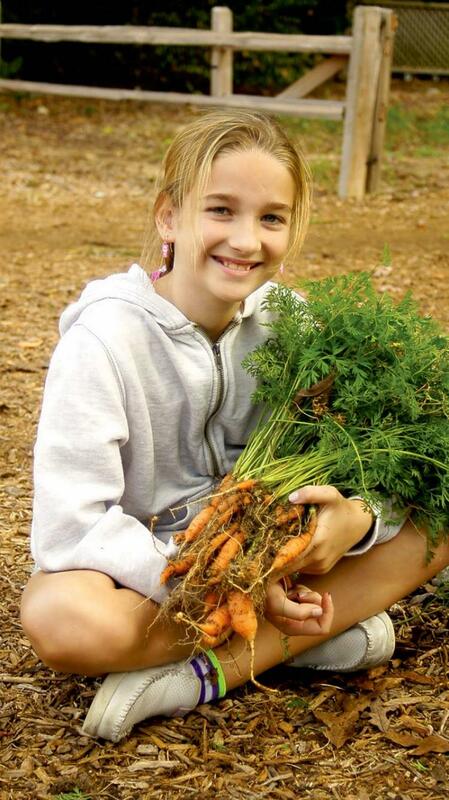 -- Harvest -- Harvest and replenish the square with fresh or homemade compost. Homemade compost is the least expensive way of replacing the nutrients in the soil mix that the plants require. At the end of the season you can place a layer of compost on top of the beds so they are ready for spring planting. In November 2010, I moved to Lockport. The one-acre perfectly square lot was ideal for starting a new square-foot garden. The mistakes that I had made in St. Andrews would not be made in my new yard. The winter months were spent planning my new garden. I built nine boxes, each four-feet-square. The boxes were laid out in three rows with three boxes in each row so I could maintain a square shape; the centre box was turned into a strawberry tour. In 2011, I planted 30 different types of fruits, vegetables, salads and herbs. Everything I planted grew well but I had a problem with deer and rabbits. In the fall of 2011 I added perimeter boxes that were two-feet wide. A fence was added to the base, which enclosed the garden and also doubled the growing space available. At this time I also signed up for a square-foot-garden instructor course in Austin, Texas. With two weeks to go before the course started, I received a call from Victoria Boudman, CEO of the Square Foot Gardening Foundation, advising that the course might be cancelled since only three people had signed up. With my flight and hotel already booked, they agreed to run the course. In the end, the class included 10 registrants and I gained valuable information on the square foot gardening method. Last year, I added a greenhouse to my garden and also decided to try growing plants such as melons vertically. I managed to grow them successfully and also increased the number of plants that I grew to 51 varieties. The main problem I encountered last year was shading of plants. Many plants bolted (rapid growth resulting in flower and seed) due to the unsettled weather that we experienced during the growing season. This was also the first year I decided to show my garden and I hosted some newly qualified square-foot gardening instructors to come over and view it. This year, I will grow more plants vertically -- blue, pink, white and orange pumpkins, cucumbers, vine tomatoes, musk and honeydew melons. I also plan to grow different varieties of potatoes and carrots in 12-inch-deep boxes. So why does this system work so well? I only weed twice a year so looking after the garden is minimal work. Everything I plant grows, there are no crop failures. There is absolutely no digging or tilling. The only tools I use are a trowel, pencil and scissors. The garden takes up minimal space but produces a huge harvest. This system can be used by anyone, anywhere and is great for novice gardeners. Should vegetables only be planted in rows? Is there another method that might result in fewer weeds and less waste? Thirty years ago, bestselling author Mel Bartholomew coined the phrase, "square-foot gardening," an inspired approach to gardening that employs simple mathematical principals. Converts never looked back, and while many gardeners adhere to the traditional way of gardening, the square-foot gardening method is riding a wave of popularity. Victoria Boudman, CEO of the Square Foot Gardening Foundation, says the method promotes a healthy lifestyle. "We don't eat right, and yet it's so easy to eat right and to do it cheaply." The SFG Foundation offers an online certification course. 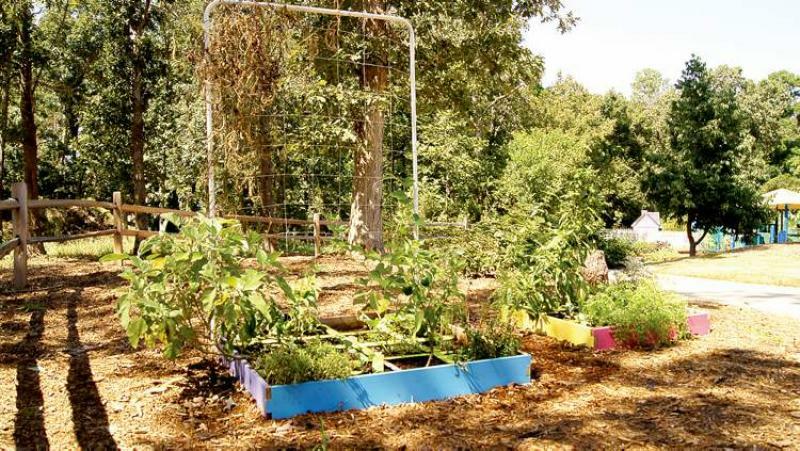 "We want our instructors to help others to improve their diet," she says, adding square-foot gardening is a fail-proof method that takes most of the work out of gardening. Kris Fleet, a local square-foot gardening instructor, participated last September in a three-day training session led by Boudman. 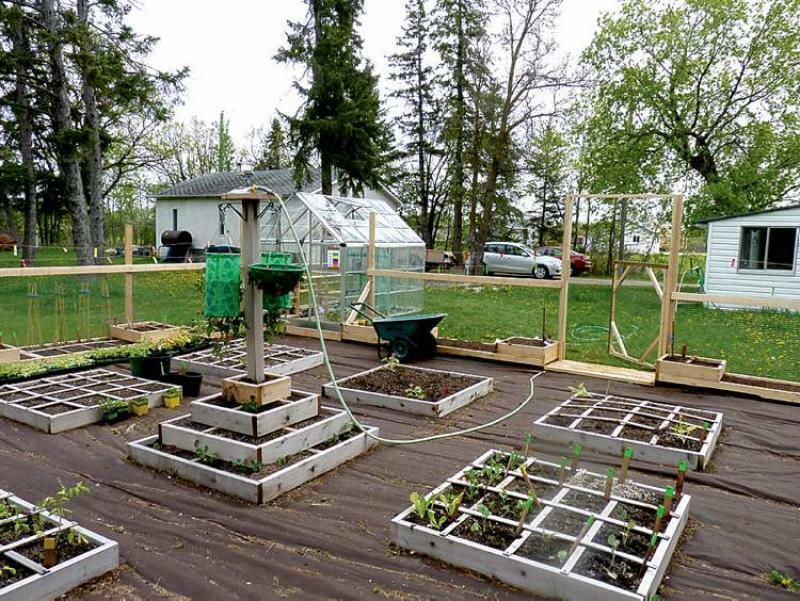 "The training helped me in terms of being able to express the concept of square-foot gardening to others and the program provides a lot of ongoing support." I first saw an example of square foot gardening about six years ago when I visited a garden in River Heights, owned by Zyna Boyes. Intrigued after reading Bartholomew's All New Square Foot Gardening and the promise of less weeding and waste, Boyes embraced this outdoor adventure. "It's so different," she says. "We're not used to doing it differently but if you try it, you can produce so much garden in such a small space." Today's contributor is Mick Manfield, a master gardener and certified square-foot gardening instructor from Lockport. For more information on square foot gardening or certification, visit www.squarefootgardening.com. Manfield will be presenting a workshop on square foot gardening at the 6th Annual Gardening Saturday Tradeshow, March 23. To register, visit www.gardensmanitoba.com. Displays, cut flower arrangements, artwork, and quality plants for sale.